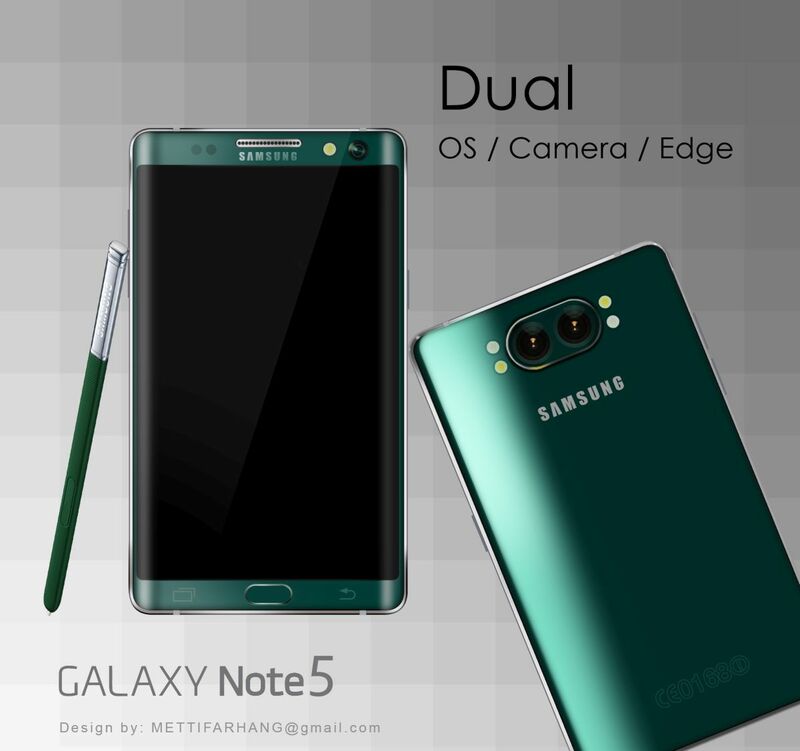 In spite of the rumors saying that we are about to get two more Galaxy Note models come this fall, at IFA 2015, designer Metti Farhang only expects one. This he made the edges of the Galaxy Note 5 curved, just like on a potential Galaxy Note Edge 2. This device is rather fat and stocky, pretty wide, as usual for a Note model and it has curved edges, a la Galaxy S6 Edge. Upfront I spot a powerful selfie camera, that may as well be used for iris scanning, while physical Home button is oval shaped and probably still features the fingerprint scanner. There are also capacitive buttons for the Back and Recents features. At the back there’s a dual camera, most likely with 3D features, as well as 4 flashes. There’s no pulse sensor here, for some reason. This Galaxy Note 5 concept adopts my favourite Galaxy S6 huge: the green one and its stylus follows the same direction. I’m also expecting a serious stylus upgrade. By the way, is it just me, or have I seen a very similar render before?